11th season of Indian Premier League has started in 7th April, 2018 and already couple of matches were executed successfully. In the tournament, Gujarat Lions and Rising Pune Supergiant are not taking part but in exchange for them Chennai Super Kings and Rajasthan Royals have participated. However, the opening match was staged in 7th April, 2018 but in the 8th April, 2018 the 2nd match was staged between Delhi Daredevils and Kings XI Punjab. 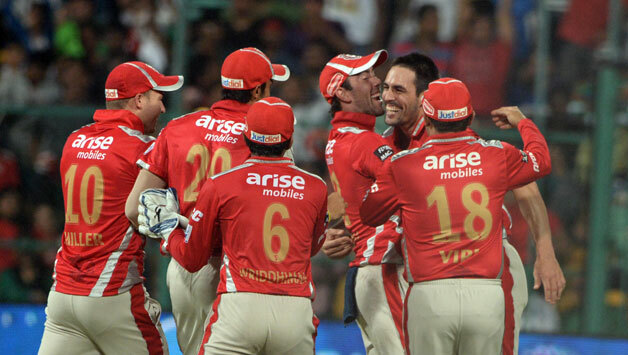 In the match, Kings XI Punjab chased successfully at Mohali and left the ground with victory. Earlier in 8th April, 2018 which was sunday Kings XI Punjab won the toss and decided to bowl first. The match was hosted at the home venue of Kings XI Punjab which was Punjab Cricket Association Stadium, Mohali. Mujeeb Ur Rahman took part in IPL with KXIP and became the youngest player to play IPL. So, DD came to open the innings first. They played complete 20 overs and scored 166 runs by losing seven wickets. Gautam Gambhir 55 runs highest for the team. Gambhir is the captain of Delhi Daredevils. He with Munro opened the innings for DD. Munro got out scoring only 4 runs so far. DD lost total seven players where excluding two, rest players did touch double figure runs. But they failed to make long lasting partnership in their innings. Pant scored 28 runs where Morris scored 27 runs so far. Sharma and Mujeeb took two wickets each for KXIP. Chasing at the Indian ground seems always an easy option and so, toss winning team used to decide to bowl first. So, KXIP took the right decision. KL Rahul and Agarwal started to chase in their innings for Kings XI Punjab. Agarwal did not last long but scored only 7 runs. Later, Yuvraj Singh came up and scored 12 runs more. Nair and Rahul played well where Rahul scored 51 runs in 16 balls. He is now holding the record of scoring fastest fifty in IPL. Nair scored 50 runs so far. Miller and Stoinis finished the innings easily and left the ground with victory. Miller scored 24 runs and Stoinis scored 22 runs so far. So, Kings XI Punjab finished their chase in 18.5 overs and won by six wickets. They lost only four wickets in the match. Finally KL Rahul got the player of the match award.